The Google Pixel is an amazing smartphone. It’s so good that it may just be the best smartphone ever made. Yes, even the iPhone 7 Plus struggles to keep up with the Pixel. However, even the best phones are susceptible to the odd problem here and there, and the Pixel is no exception. 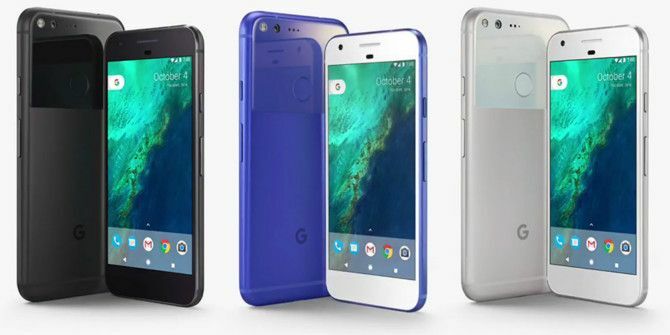 Google launched the Pixel Google Unveils New Pixel Phones, Chromecast Ultra, & More... Google Unveils New Pixel Phones, Chromecast Ultra, & More... Google has unveiled a host of new hardware, including new Pixel phones, the Chromecast Ultra, the Daydream View, Google Home, and Google Wifi. Read More in October 2016. Solid hardware and innovative new features — such as Google Assistant, coming to a smartphone near you soon Google Assistant Is Coming to More Smartphones Google Assistant Is Coming to More Smartphones Google is beginning to roll Google Assistant out to more smartphones. Unfortunately, the majority of Android handsets are not included in this initial rollout thanks to fragmentation. Read More — means it was well-received. Demand is currently outstripping supply, but some Pixel owners are experiencing a slight problem. Hundreds of Pixel owners have complained on Google’s support pages about one or more of the microphones stopping working. The complaints started in October 2016, and Google launched an investigation in January 2017. Google has now confirmed the problem, and offered an explanation. Brian Rakowski, who is listed simply as a “Google Employee” states that this is “a hardware issue,” meaning software updates will not fix it”. He goes on to say there are “a few known root causes, resulting in similar but different symptoms”. Rakowski then explains that the “most common problem is a hairline crack in the solder connection on the audio codec. Based on temperature changes or the way you hold the phone, the connection may be temporarily restored and the problems may go away”. He continues, “The other related problems are due to a faulty microphone. Normally, this shows up as a consistent failure of a single mic. This problem is even rarer, but has very similar symptoms”. All are “the result of a hardware problem, requiring replacement of the device”. Phones manufactured since January shouldn’t be affected. And Google claims less than 1 percent of phones manufactured before then are affected. Regardless, Google is offering to replace affected handsets, whether purchased directly from the company or from another retailer. To be fair to Google, hardware problems are hardly uncommon these days. Samsung had that whole thing last year with the Galaxy Note 7 exploding Why the Samsung Galaxy Note 7 Keeps Exploding Why the Samsung Galaxy Note 7 Keeps Exploding Samsung has finally figured out what was causing the Galaxy Note 7 to explode. Now it can focus on salvaging consumer confidence in the Samsung brand. Read More . And Apple has suffered through both Antennagate and Bendgate, and lived to tell the tale. So the Google Pixel will survive. Do you own a Google Pixel? If so, how highly do you rate it? Have you experienced any issues with the microphones? Or had any other hardware problems? Do you feel Google is handling this in a reasonable manner? Please let us know your thoughts in the comments below! Explore more about: Google, Google Pixel, Microphones, Smartphone Repair. I purchased my Pixel because I read the reviews and wanted a phone that was reliable. I use it for work, I rely on my phone to make money. What I got was disappointment. After about 4 weeks the phone would randomly shut down, sometimes I would get calls and I couldn't hear the other person. Then one day it just became unusable. No sound during a call but I could see the call was connected. Hard reset didn't work, and I was working with a google tech support person without any luck. I had to get a replacement sent to me. Now I'm a few months into my replacement pixel and I'm still not satisfied. I never had these reliability issues with my Samsung S5. I've had this phone tell me my phone app isn't responding, I woke up one morning late because the alarm didn't go off. It was hooked to a charger like usual at night and just shut down. The power on button didn't start it and I had to use the hard reset to get it going. Lots of times it just freezes for a while. I must restart this phone about every other day to keep it running correctly. When I play back voicemail, the playback is choppy and it kind of jumps back a second or two during the message so it sounds like stuttering. Hard to explain but very annoying. I use a bluetooth earpiece because I drive and work while talking on the phone. sometimes when I make a call it will drop my bluetooth device after dialing the number and I have to pay attention and make sure i'm still connected in case I need to grab the phone and talk directly into it so I don't make the person I'm calling wonder and wait why I'm not talking to them. I only load the minimum apps I need because I'm afraid I'll load something that will interfere with the phone. I search once in a while for others that may have similar issues but I have trouble finding anything bad online about the phone. How is it such a great phone has given me so many problems and I'm on my second one??? Now, I can understand about the cold solder joint on the audio codec chip, it makes sense. Although, this microphone problem, is a failure of the microphone. I can't see why they need to replace the whole pixel, unless of course, it's not really a microphone problem at all, they just claim it to be. Replacing a surface mount microphone is easy if you have the right tools and skills. Never thought about it that way but that's damn funny! Well, to us it is but to them, well, that's a different story.